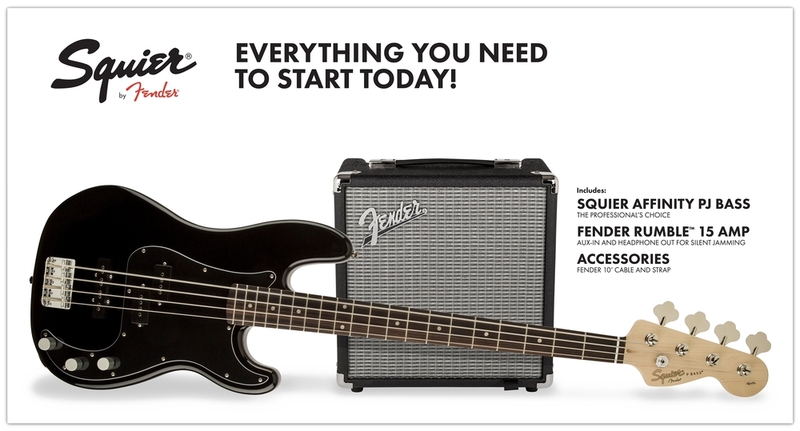 Ideal for first-time players, the Squier Affinity PJ Bass Pack includes an Affinity SeriesTM Precision Bass® with a powerful split-coil P Bass® middle pickup and a growling J Bass® single-coil bridge pickup. 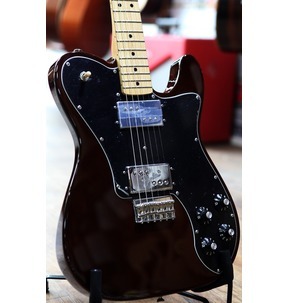 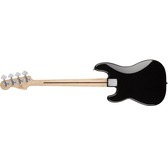 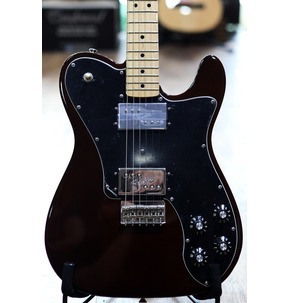 It also features a smooth-playing "C"-shaped neck and a lightweight, comfortable body. 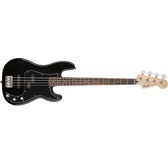 Equipped with both P Bass and J Bass pickups, this bass offers plenty of tonal versatility. 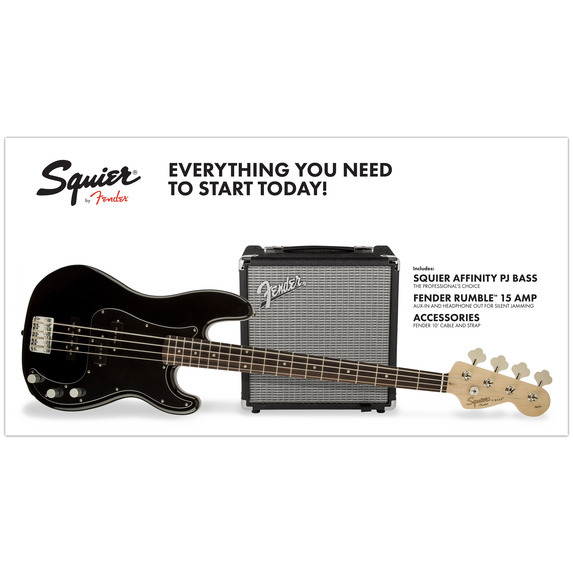 The split single-coil P Bass pickup provides punchy, seismic tone, while the single-coil J Bass pickup delivers classic tone with famous guttural midrange and singing high end. 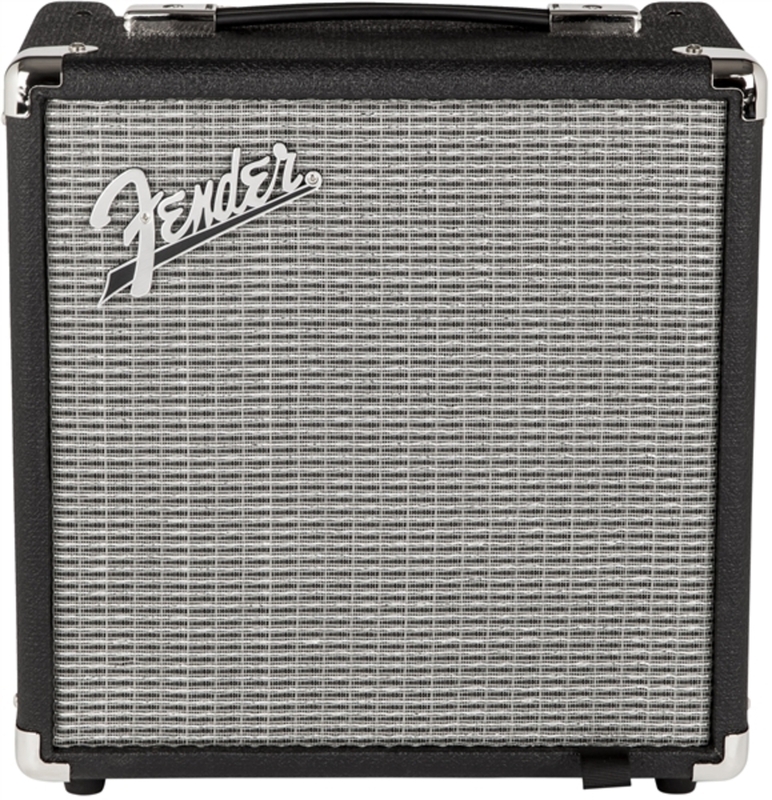 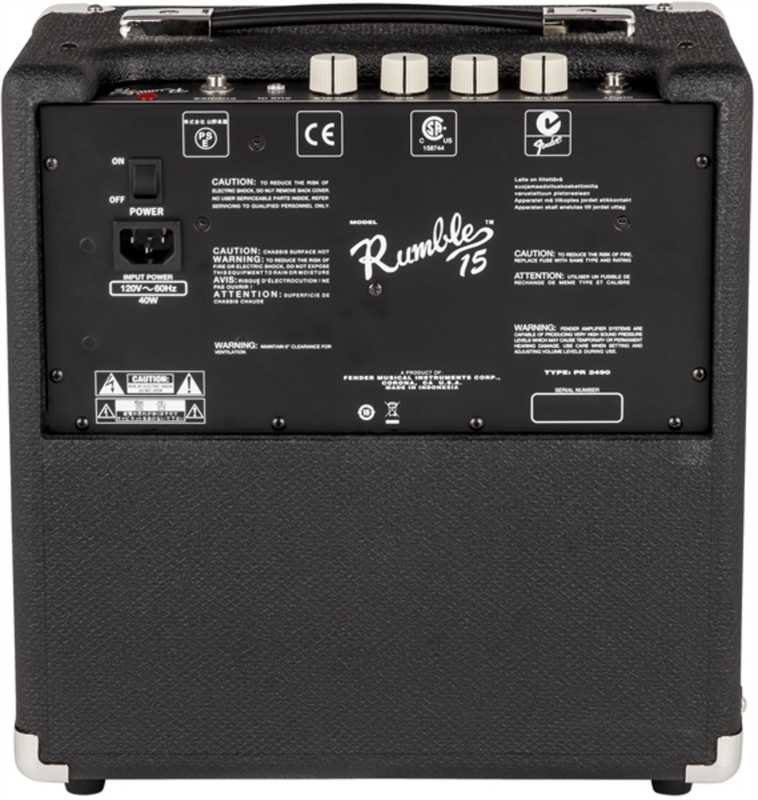 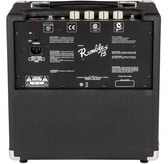 Perfect for practice sessions and jamming, the Fender Rumble 15 bass amp pumps out 15 Watts of pure Fender bass tone. 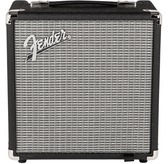 It features an 8" Fender Special Design speaker, three-band EQ, auxiliary input for media device connectivity and a headphone jack for silent practice. 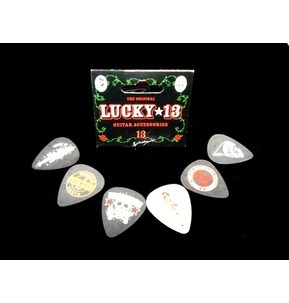 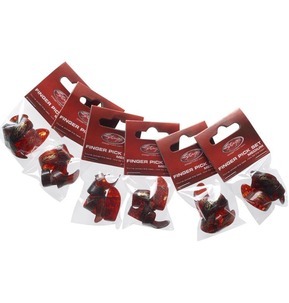 This bundle has everything you need to start rocking straight out of the box, including a pack of picks, a comfortable and durable guitar strap and a 10-foot instrument cable.